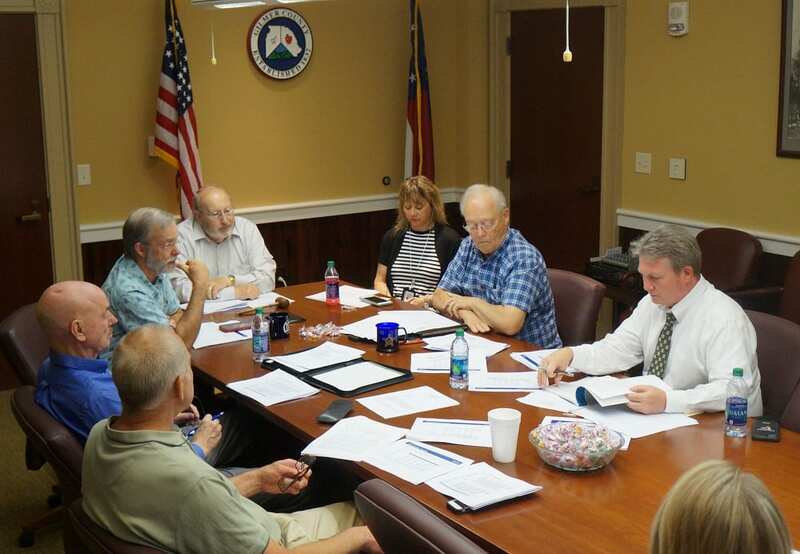 ELLIJAY, Ga. – In a Special Called Meeting on June 15, a final Resolution was put for consideration of the cities of Ellijay and East Ellijay for an upcoming SPLOST Referendum. 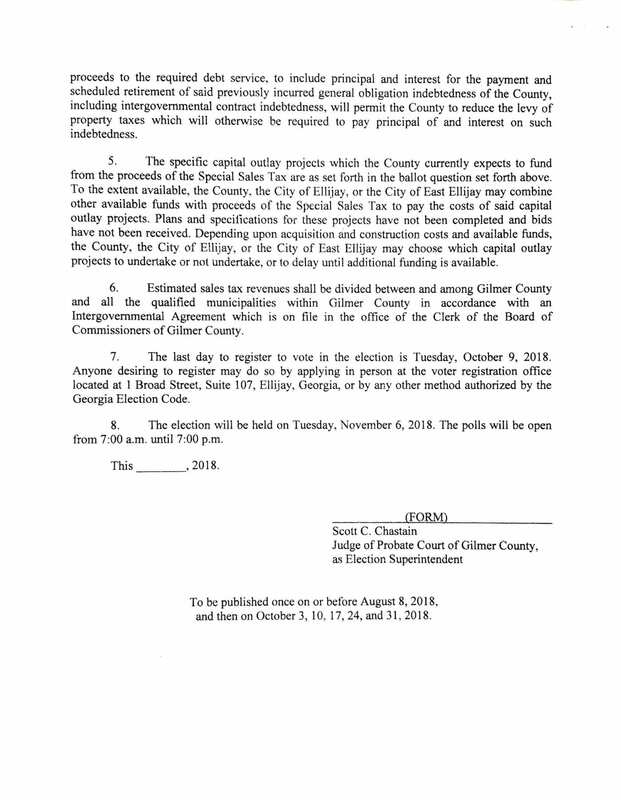 Having received input from each city’s mayor and gone through previous negotiations on percentages, the resolution has now reached the time to be put forth in these city’s council meetings for consideration and approval before the county can officially put it on the ballot as a joint SPLOST between the municipalities. 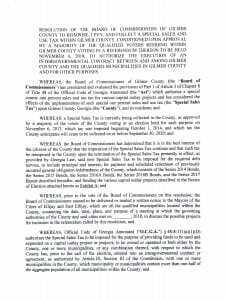 While the meeting was a formality to provide the final form of the resolution, it did provide the actual document to be put forth to the cities and, if approved, ultimately put to a public vote for the next SPLOST cycle. 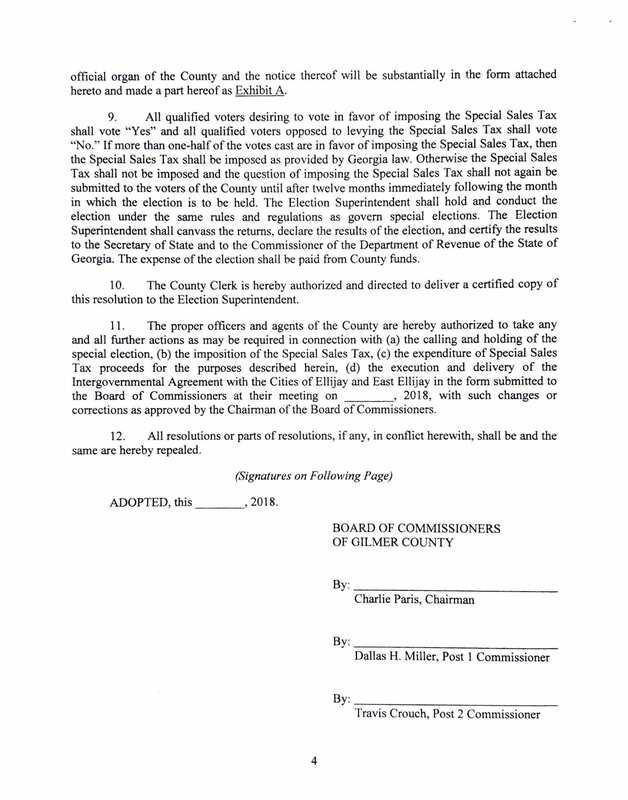 The SPLOST referendum is set to continue the current 1% sales tax that is currently in place. Even though the municipalities are preparing early, it will not overlap the current SPLOST cycle. 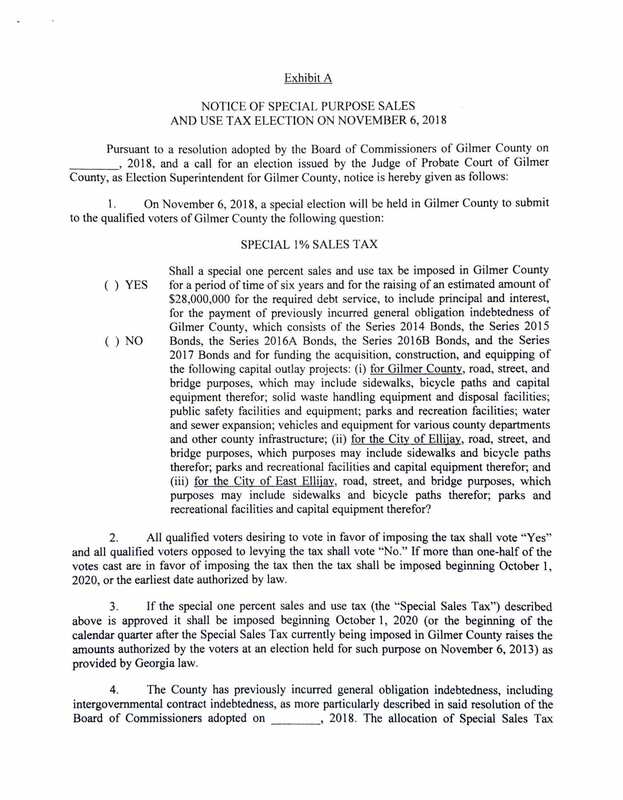 ELLIJAY, Ga. – A unique meeting saw the Gilmer County Board of Commissioners sitting with Ellijay Mayor Al Hoyle and East Ellijay Mayor Mack West to speak about the possibility of a new SPLOST cycle for the county as a whole. 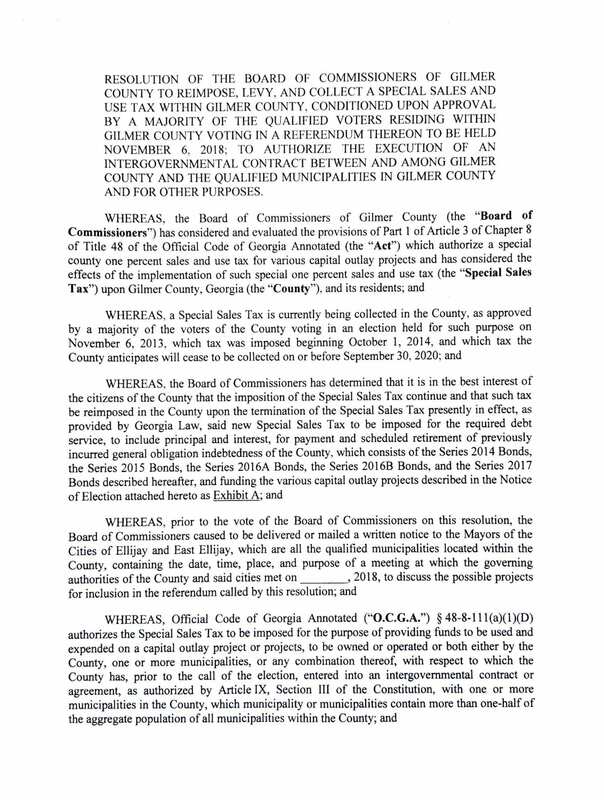 While the Board of Commissioners could move forward with the SPLOST without the cities, joining together provides many benefits to each municipality including a more expansive list of projects without a state-regulated list of prioritization and a one-year-extension on the SPLOST cycle to make it a six-year program instead of just five years. 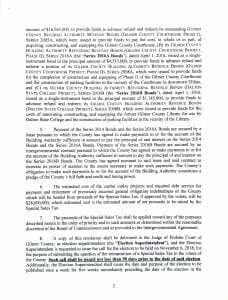 One of the major items needed in the meeting was an agreed amount that could be expected from the tax. According to regulations on the program, if a government puts forth a SPLOST and sets its expected return above what it actually receives, there is no penalty. However, if that SPLOST achieves the expected return early, no more collections could be made, causing a gap in collections and revenue from the sales tax. 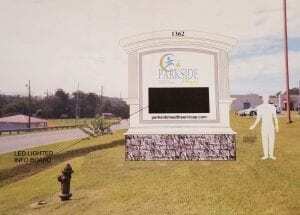 With that in mind, the meeting came to a conclusion to estimate $31 million in revenue from the tax. 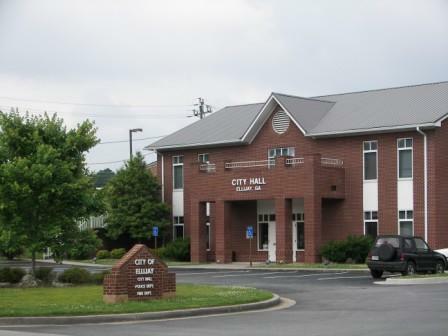 Both Mayors in the meeting looked to increase their city’s portions of the SPLOST in favor of rising costs of major projects, Hoyle spoke on Ellijay’s behalf saying that increase paving costs and projects that the city is in need of accomplishing could greatly benefit from an increase in their percentage. 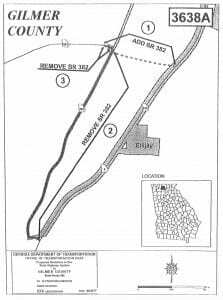 Likewise, West echoed these concerns siting a specific project as they have repaved the area of Eller Road and the intersection at Highland Crossing before reaching Highway 515. 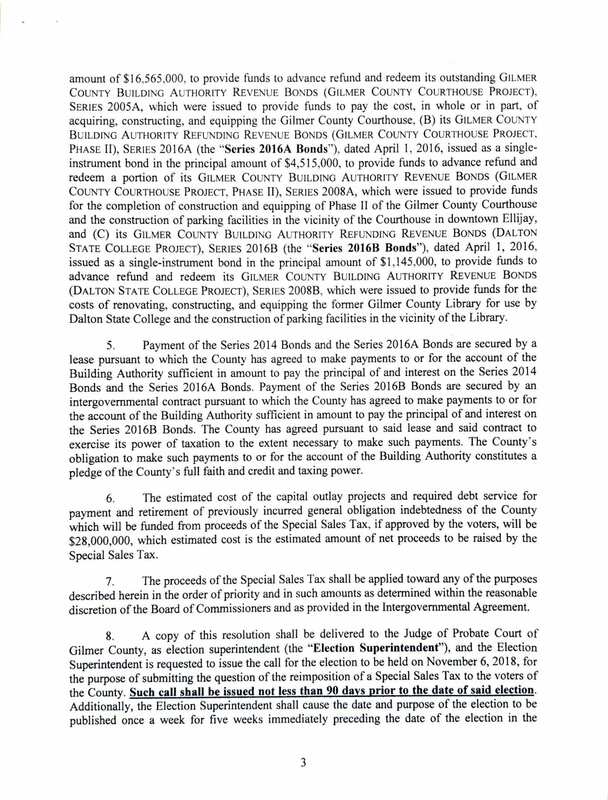 On the other hand, the county discussed the county’s continued financial pains attempting to pay back their bond debt, looking at the vast majority of their SPLOST collection dedicated to paying back that debt at close to $4 million a year. Ultimately, the decisions came down very similar to how the SPLOST has been divided currently. With the County currently taking 92.35% of the SPLOST, they backed off the extra part of a percent making the division at an easy round number of the percentage. 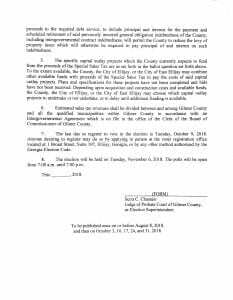 The County will receive 92%. 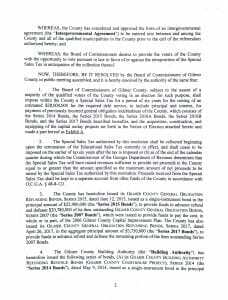 East Ellijay will receive 2%. Still, this negotiation is preliminary. 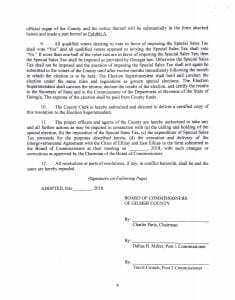 Each Mayor will now take the proposal back to their cities for approval before the county can approve the final agreement and move forward with offering the SPLOST option to a vote for citizens. If all goes according to plan and no major obstacles are met, It could mean citizens could see the vote for this on the ballot this November. 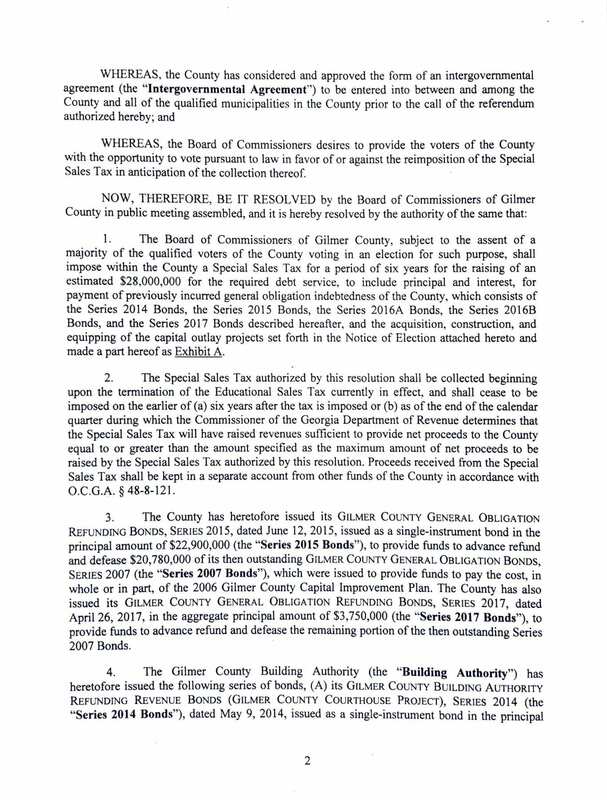 The Gilmer county commissioners have already been discussing the item after an increase of community requests to deal with the issue. Continuing the discussion, East Ellijay is now also on board increasing response and control of the litter. Though no official action set a specific number increasing from the current $236 public littering fine, Mayor West did ask the members of council if they would be okay with increasing the fines with none speaking out in opposition. Additionally, East Ellijay Police Chief Larry Callahan discussed speaking with officers to pay more attention to the issue and those who they see littering. This discussion came on top of officially approving the policy for litter control and having the extra employee. Also, in the Police Department, the council approved purchasing three patrol car cameras for the department. Callahan said that with the vast majority of other law enforcement agencies already having cameras, courts are beginning to throw out cases without the video evidence supporting traffic violations. 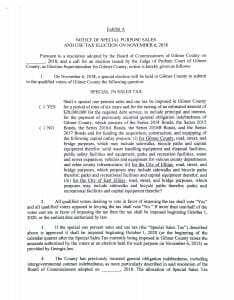 With the estimate Callahan has received, the $10,650 cost of purchasing and installing the cameras will be split. Two of the cameras will be paid out of the city’s hotel-motel fund, and the third camera will be paid for out of the police confiscation fund. With the change in courts handling of their cases, Callahan spoke with the council about the camera purchases saying, “It’s a ‘have-to’ essentially.” Callahan is also looking to purchase another three cameras next budget year.